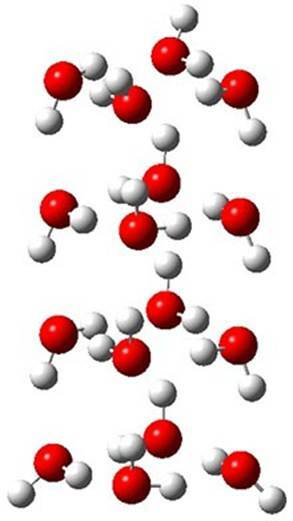 Here’s a nice example of the application of computed solvation energies in non-aqueous studies. 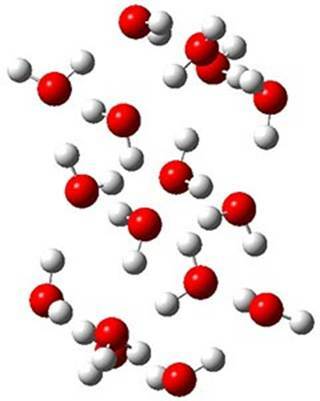 Cramer and Truhlar have employed their latest SM8 technique, which is parameterized for organic solvents and for water, to estimate solvation energies in olive oil.1 Now you may wonder why solvation in olive oil of all things? But the partitioning of molecules between water and olive oil has been shown to be a good predictor of lipophilicity and therefore bioavailability of drugs! 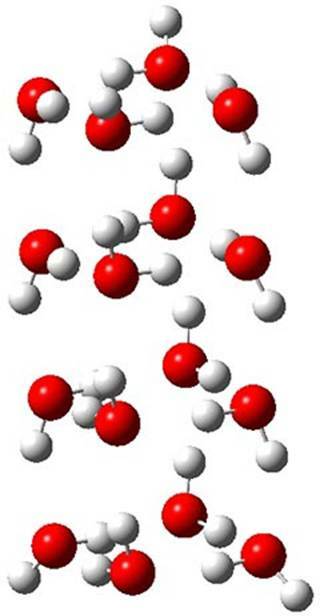 The model works reasonably well in reproducing experimental solvation energies and partition coefficients. They do make the case that fluorine substitution which appears to improve solubility in organics,originates not to more favorable solvation in organic solvents (like olive oil) but rather that fluorine substitution dramatically decreases solubility in water. Cramer and Truhlar have tested their latest solvation model SM8 against a test set of 17 small, drug-like molecules.1 Their best result comes with the use of SM8, the MO5-2X functional, the 6-31G(d) basis set and CM4M charge model. This computational model yields a root mean squared error for the solvation free energy of 1.08 kcal mol-1 across this test set. This is the first time these authors have recommended a particular computational model. Another interesting point is that use of solution-phase optimized geometries instead of gas-phase geometries leads to only marginally improved solvation energies, so that the more cost effective use of gas-phase structures is encouraged. These authors note in conclusion that further improvement of solvation prediction rests upon “an infusion of new experimental data for molecules characterized by high degrees of functionality (i.e. druglike)”. (1) Chamberlin, A. C.; Cramer, C. J.; Truhlar, D. G., “Performance of SM8 on a Test To Predict Small-Molecule Solvation Free Energies,” J. Phys. Chem. B, 2008, 112, 8651-8655, DOI: 10.1021/jp8028038. Cramer and Truhlar1 have published a nice review of their SM8 approach to evaluated solvation energy. Besides a quick summary of the theoretical approach behind the model, they detail a few applications. Principle among these is (a) the very strong performance of SM8 relative to some of the standard approaches in the major QM codes (see my previous blog post), (b) modeling interfaces, and (c) computing pKa values of organic compounds. 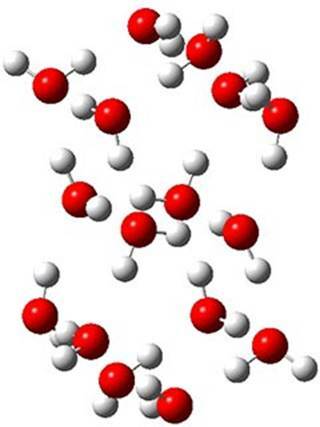 (1) Cramer, C. J.; Truhlar, D. G., "A Universal Approach to Solvation Modeling," Acc. Chem. Res. 2008, 41, 760-768, DOI: 10.1021/ar800019z. Truhlar and Cramer have updated their Solvation Model to SM8.1 This model allows for any solvent to be utilized (both water and organic solvents) and treats both neutral and charged solutes. While there are some small theoretical changes to the model, the major change is in how the parameters are selected, the number of parameters, and a much more extensive data set is used for the fitting procedure. Of note is how well this new model works. Table 1 compares the errors in solvation free energies computed using the new SM8 model against some other popular continuum methods. Clearly, SM8 provides much better results. As they point out, what is truly discouraging is the performance of the 3PM model against the continuum methods. 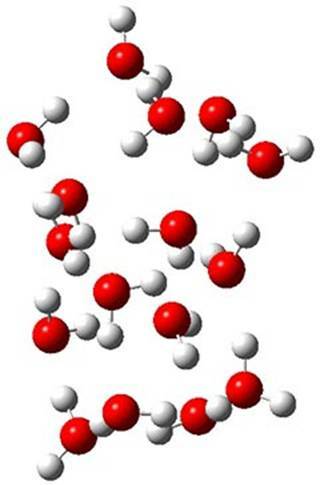 3PM stands for “three-parameter model”, where the solvation energies of all the neutral solute in water is set to their average experimental value (-2.99 kcal mol-1), and the same for the neutral solutes in organic solvents (-5.38 kcal mol-1), and for ions (-65.0 kcal mol-1). The 3PM outperforms most of the continuum methods! a274 data points. b666 data points spread among 16 solvents. c332 data points spread among acetonitrile, water, DMSO, and methanol. dUsing mPW1PW/6-31G(d). eUsing mPW1PW/6-31G(d) and the UA0 atomic radii in Gaussian. fUsing mPW1PW/6-31G(d) and the UAHF atomic radii in Gaussian. gUsing B3LYP/6-31G(d) and conductor-PCM in GAMESS. hUsing B3LYP/6-31G(d) and the PB method in Jaguar. (1) Marenich, A. V.; Olson, R. M.; Kelly, C. P.; Cramer, C. J.; Truhlar, D. G., "Self-Consistent Reaction Field Model for Aqueous and Nonaqueous Solutions Based on Accurate Polarized Partial Charges," J. Chem. Theory Comput., 2007, 3, 2011-2033. DOI: 10.1021/ct7001418.